Unless you are completely new to the world of 4WDing, you would have heard of the term ‘momentum’. 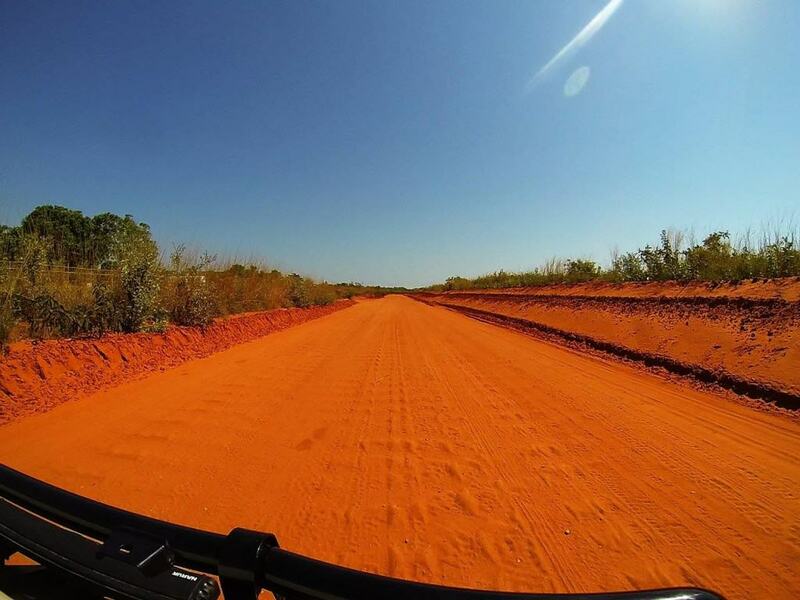 It essentially refers to the speed at which your 4WD is travelling. 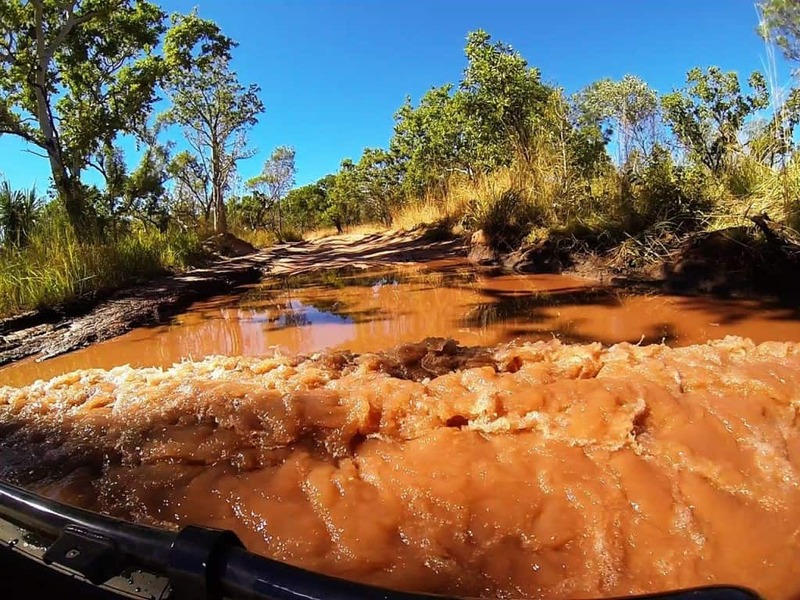 The more momentum your 4WD has, the further it will go through a soft patch of sand, water crossing or mud hole. However, too quickly, and you risk a whole lot more than getting bogged. It’s all about finding the right balance. 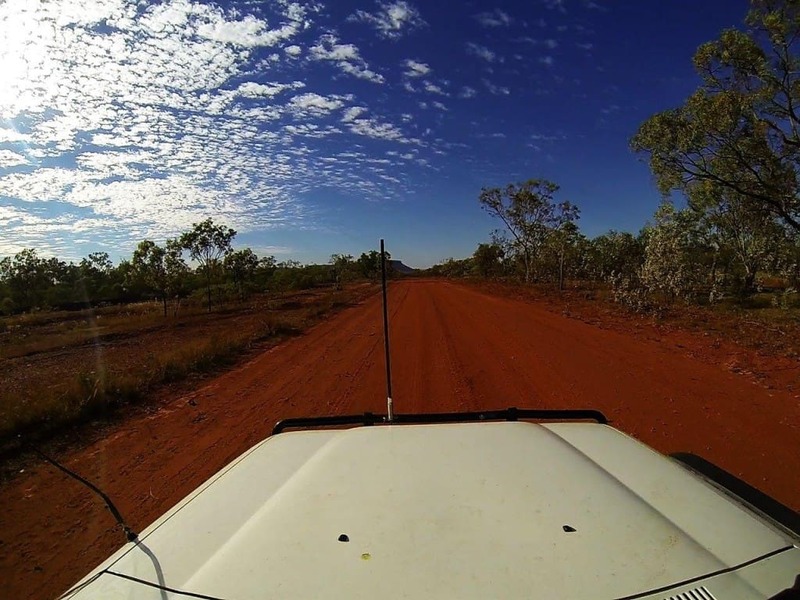 In every 4WD situation, there is an ideal speed for you to be travelling. Get it right, and your vehicle will appreciate it, you will get through with no problems and you will have a great time. Get it wrong though, and best case scenario is getting bogged!. Beyond that, you risk serious damage to your pride and joy in the form of panel, engine and drive-line damage. Above anything else, you should be driving to the conditions. If you are bogging down, a bit more momentum will usually help. 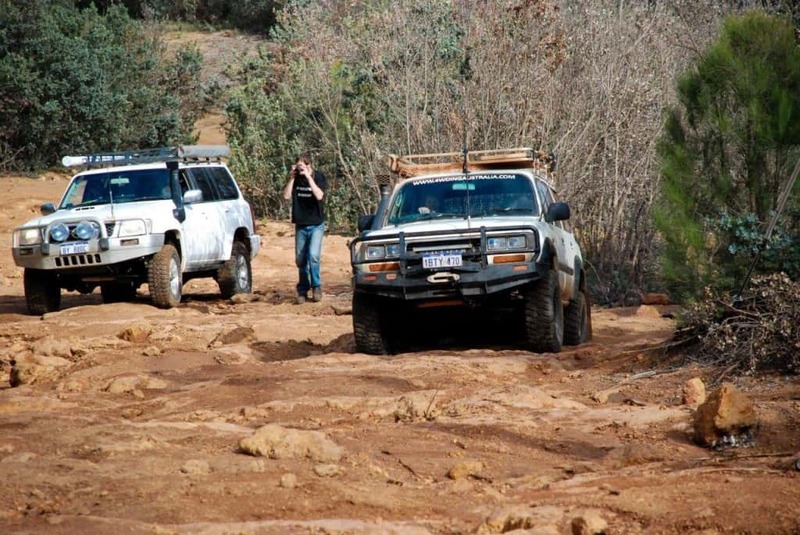 If you are bouncing your 4WD around over rocks, perhaps its time to ease off the throttle a little! Excess momentum can be a very expensive way of getting through an obstacle. Unless you really couldn’t care less about your 4WD, it makes sense to drive with some mechanical sympathy. I’m talking about treating your vehicle in a way that ensures it is still going to be running in 15 years time! Here’s 12 ways to wear your 4WD out faster. 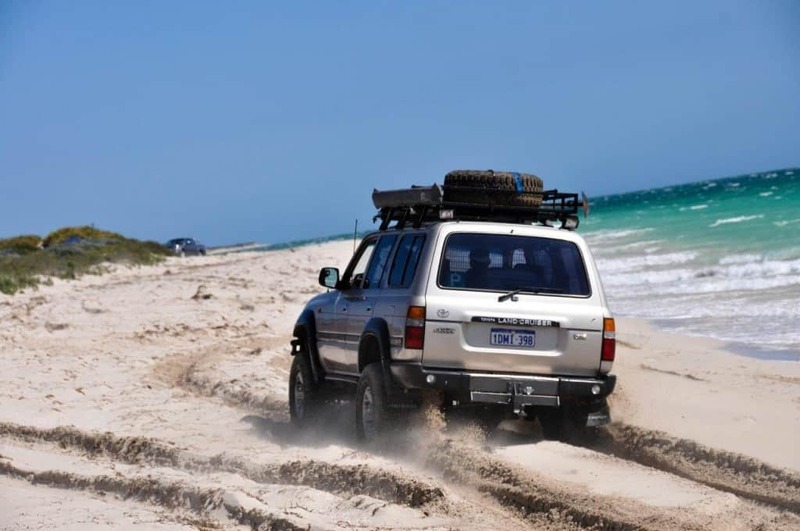 When you are driving a 4WD in soft sand, momentum is important. However, before we get to that, lets just quickly touch on tyre pressures; even more critical than momentum. Get your tyre pressures right and you will have a much easier time through any sand! My recommended tyre pressure is 16 PSI, unless your vehicle is heavier than most full size 4WD’s. Tyre pressures are critical to 4WDing. At 16 PSI, your vehicle should handle pretty well every type of beach driving, except perhaps the seriously boggy stuff that you encounter every now and again (which will mean you need to go even lower!). From there, its a matter of picking a good line on the beach (usually where the main tracks are), and the right speed. You will find driving along a beach in first gear low range will not only take all day, but your chances of getting stuck are increased dramatically, even with the correct tyre pressures. The moment you hit a soft patch of sand, your 4WD wants to sink. If you are carrying a bit of momentum though, you will just slow a little, and keep pushing on. 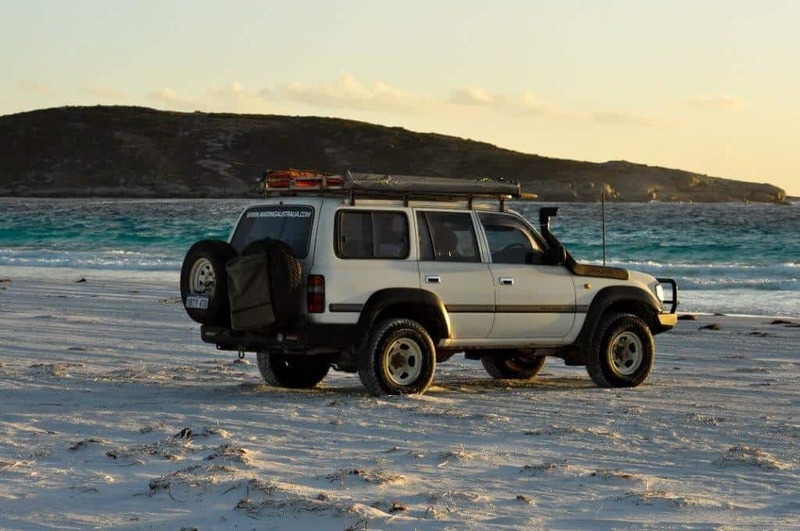 In our 80 series Land cruiser, I find 3rd and 4th low range works well, or sometimes 2nd in high range, depending on how soft the beach is. How many times have you seen someone get a huge run up into a big water crossing, only to wash off almost all of their speed the moment they hit the water? Water has a extremely high resistance, and if you hit it too hard, you risk doing serious damage to your vehicle. Instead, ensure the water level and flow rate is safe, feel the bottom with a stick if possible, and approach the water crossing with enough momentum to carry you forward, but not too much that you are going to be slowed down dramatically. Ideally, you are aiming to create a little wave (remember; little! ), in front of your vehicle, that continues with you until you get to the other side. If you are making water come up significantly higher than where the water level is, you are going too fast. Obviously, little water crossings can be approached with more speed, but anything that is over half a tyre height should be approached with caution. You really want to avoid having to change gears mid way across a water crossing, especially if you are driving a manual vehicle. Water can get into the clutch and cause all sorts of expensive repairs. We find 2nd gear in low range is ideal for water crossings. 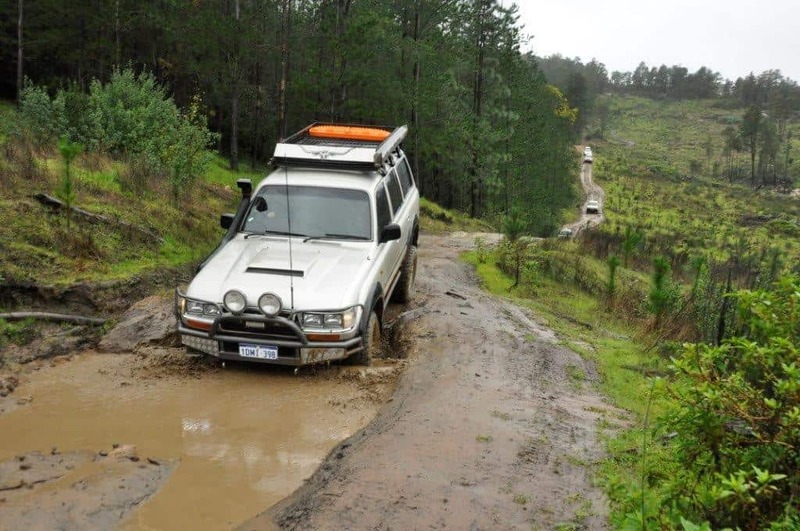 Here’s 15 ways to avoid drowning your 4WD. Driving through sand dunes is a lot of fun. The best thing though, is you get to experiment with momentum. Remember, that even if you make it to the top, you need to know what’s over the other side before you head over. I’ve seen too many people fly up a dune and disappear over the other side, only to realize its a big drop. Once you are there, you can’t do anything; always check the other side before flying up a big dune. 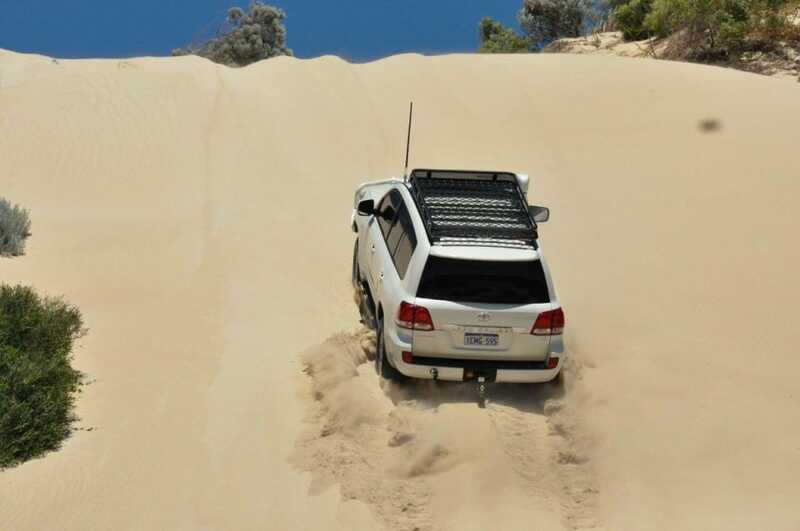 If you don’t make it up the dune, its just a case of reversing backwards (and keeping your vehicle straight!). Give it another go with a bit more momentum if safe to do so, but don’t hit it at a ridiculous speed. Again, we tend to use 3rd and 4th gear in low range for most dune driving. Mud holes are similar to water crossings, although your traction is usually substantially less, and mud can have even more resistance. The trick is to enter with enough momentum to carry you forward, but not so much that you end up with an engine bay full of mud. It’s easy to fill your radiator with mud if you hit them too hard, and then you will have overheating problems until you can get it cleaned out! Generally 2nd gear in low range works well, depending on how deep the hole is. If its more of a mud run sometimes 3rd gear in low range is chosen. Ideally, stay out of mud; have a read of this – Mud; your 4WD’s worst enemy. The most likely place to damage your panels (and drive-line too!) is when you are doing rock work. I’m not necessarily referring to vertical rock climbs, but anywhere that you have rocks which could touch a panel you need to be very careful with your throttle control and gear choice. A steady and slow approach wins every time. If you try and use momentum to overcome rocks, you will break something. It might not happen the first time, but it will eventually and its not fun. If your vehicle is bouncing up rocks, you are at risk of something going badly wrong. There’s a fine line here, and you will only identify that once you’ve been out several times, but take it slowly and carefully and you will get your 4WD home in one piece. We’ve found first gear in low range with the lockers on in some situations is the way to go. Anything quicker than that, and your vehicle is not easily controlled. A huge amount of Australia is still connected via gravel roads. These vary in condition from week to week, based on weather, maintenance and the amount of traffic using each road. Some are well maintained, and you can drive along them perfectly safely at 110km/h. From there though, they deteriorate, into bone (and vehicle) shaking rides that can easily catch you off guard. Again, drive to the conditions. Adjust your tyre pressures to suit the corrugations, and sit at a speed that irons out most of the bumps if safe to do so. The quicker you go the less you will notice the corrugations, but your traction decreases and risk of doing damage increases if a pot hole or dip comes up unexpectedly. Unless the gravel road is in terrible condition, is hilly or very windy, we usually keep the vehicle in high range, and change gears as the conditions allow. The gentler you are at changing the throttle, the better you will perform off road. If you are constantly changing throttle at a rapid pace, you will be losing traction, and increasing the chance of something going wrong. 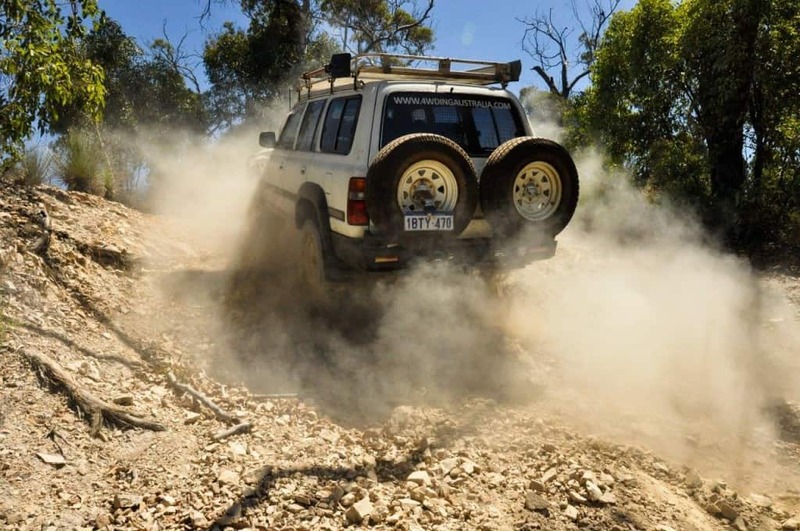 This is especially the case in rocky situations; if your throttle is bouncing up and down all the time it encourages your 4WD to buck around, lose traction and send you the wrong way. I will usually tackle an obstacle with as little momentum as possible, and see how I go. Of course, you can’t always do this, depending on the situation, but in general, the less momentum the better. If you don’t make it, give it another go with a little more momentum. The trick though, is to know at what point something is likely to go wrong. A lot of people don’t know where this limit is, and will keep going harder and faster until they make it, or something breaks. I’ve done panel damage twice to my Hilux, and in both circumstances it was due to me going too quickly. Normally the third attempt at something is when you have enough momentum to do damage; give it a rest and take the other track! The faster you go, and the quicker you steer, the more likely you are to roll a tyre off the bead. This is most likely on sand or in mud, when you are running lower pressures. Don’t steer too hard, or accelerate quickly going around a corner and you will be fine! Hill descents need to be taken with due care. Use your engine to slow the vehicle down and avoid the brakes as much as possible. First gear low range is ideal for engine braking down steep hills, and ensures your brakes don’t get hot and fade, as well as not locking up your wheels! The only way you will work out how much momentum you need for different scenario’s is to get out there and learn for yourself. Use a bit of common sense, take things carefully and you won’t have any issues. It’s not rocket science, but knowing the correct momentum for your vehicle in each 4WD scenario is extremely useful. Let me know what you think below; have you had some steep learning curves regarding momentum? !